OPENING BID for this Special Historical Item is $600.00 or SoldOutright would consider offers on this rare combination of documents on behalf of their client. This work was presented in its current form in 1982, 35 years ago, at the 100th Celebration of the Travellers Association. 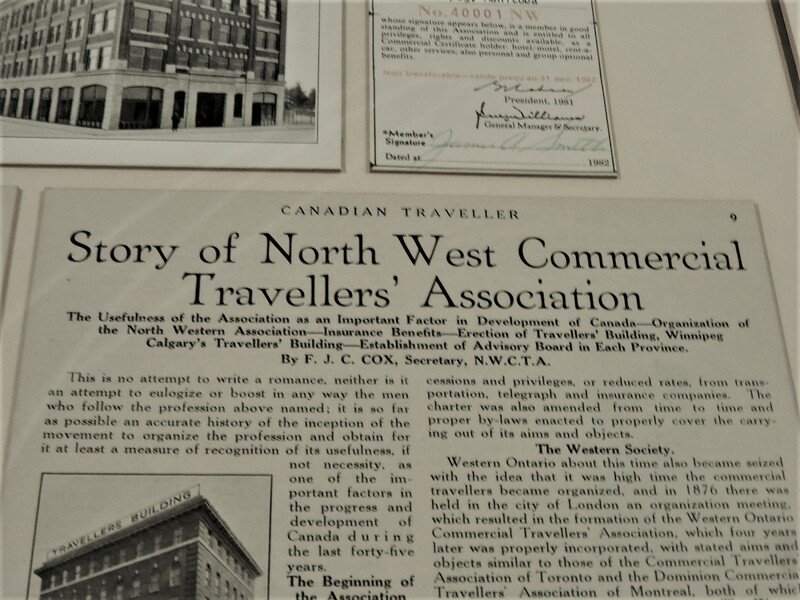 The North West Commercial Travellers’ Association came into being in 1882 and celebrated the 100th Anniversary in 1982. 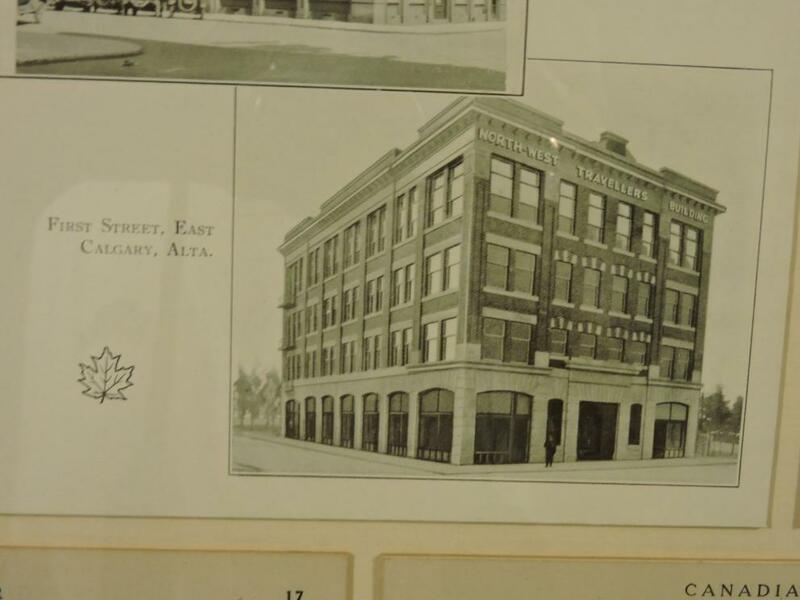 The Building that became home to the Association was located at 291 Gary Street, Winnipeg Manitoba. The Building was formally recognized as a Historical Canadian Building June 27th, 2002. 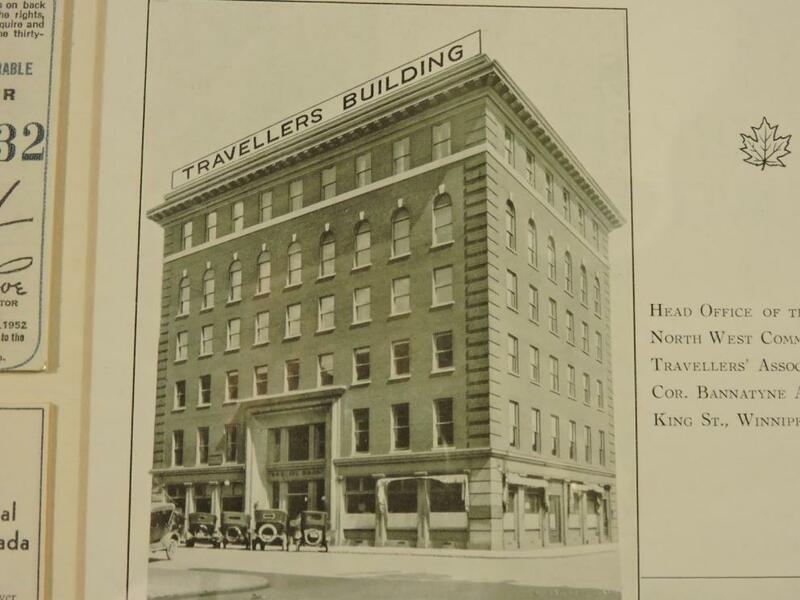 The Building was erected in 1908 and altered in 1914 and 1916 as reported by an article that can be found on Historical Places in Canada. Our story is taken from many Historical Writings about this amazing Organization. 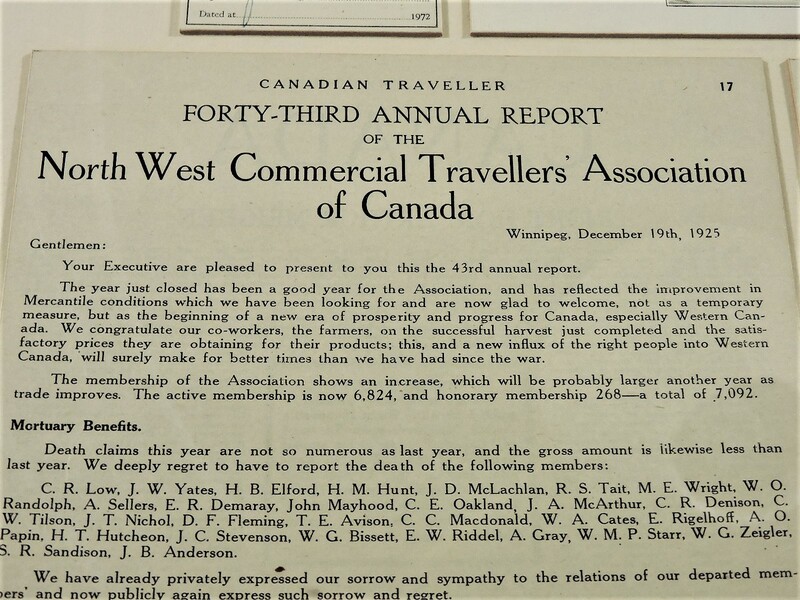 The Association offered Members Extensive Benefits in Winnipeg and Calgary and throughout the West as these “Fellows” travelled constantly away from home. Life was difficult and travel was hard through all seasons. A fellow named John McWilliam’s Authored a book named “Nothing Happens Until a Sale is Made”. The Book Title is so true and seems to be rather rare. The writing is most likely an excellent historical description of what it was like selling goods in the Canadian West. 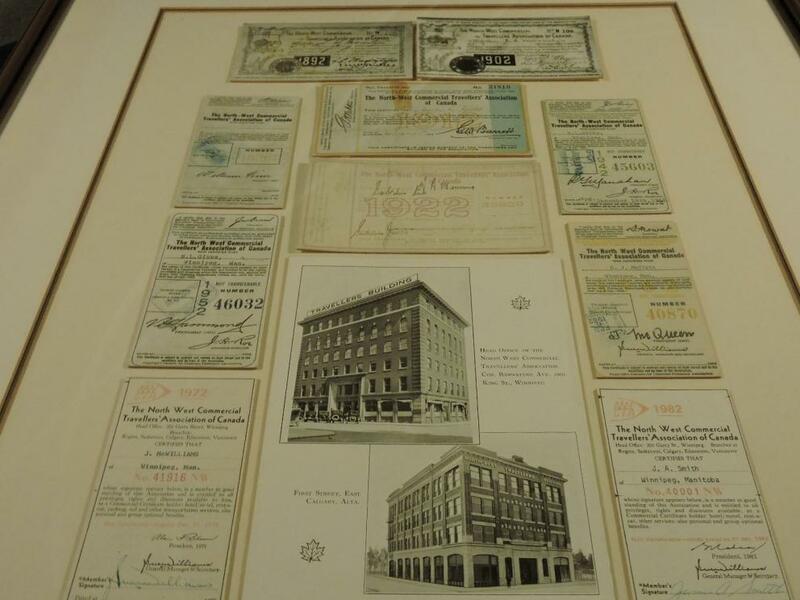 “ SoldOutright” Offers at Auction the Actual Presentation Gift of Historical Memorabilia presented in 1982 at the 100th Birthday of this Prestigious and Historical Organization. 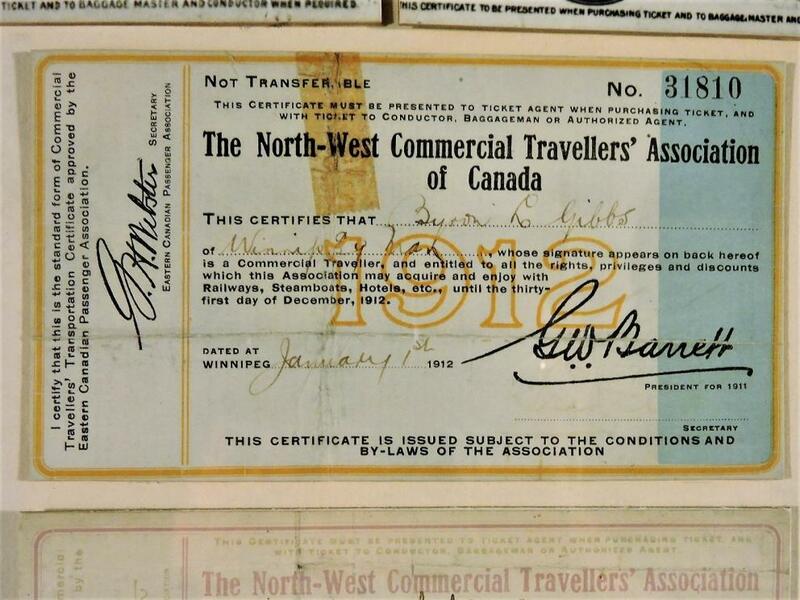 It is an incredible piece of Canadian History. Please enjoy the photos of this memorable day in celebration of 100 years of Canadian History and consider bidding on this one and only rare piece of Canadiana. SoldOutright is a Solutions Based Auction Concern that offers the most up-to-date Bidding Platform, Mobile Bidding App, Social Media Conventional Marketing blend with a choice of On-line, On-Line-Live or Timed Auction Bidding Options. By offering the most modern methods and up-to-the-minute Auction Method Bidding and Marketing Technology, SoldOutright is able to provide our clients with an extended reach to potential buyers. L.C. Macintyre Member No. 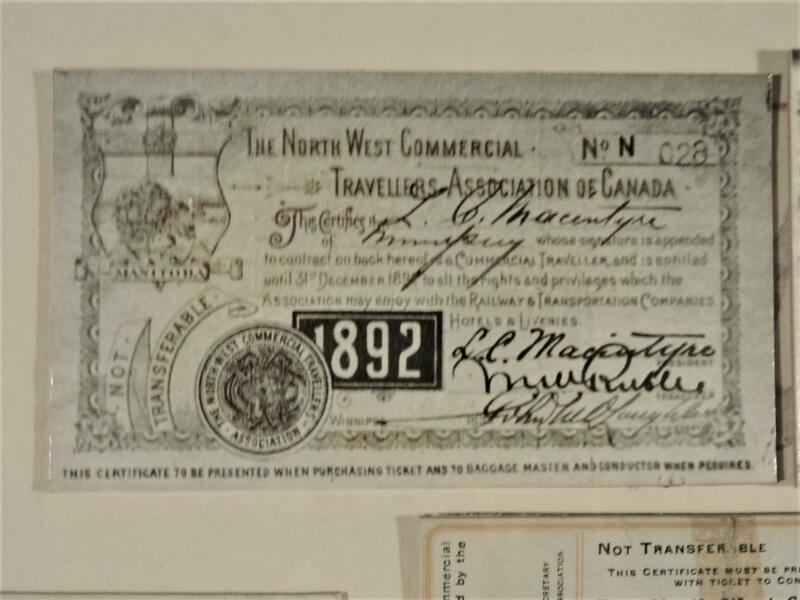 028 December 31st, 1891 (1892 Membership) entitled to all rights and priviledges which the Association may enjoy with Railways + Transportation, Hotels and Liveries... with Mr. Macintyres signature! !